One of the greatest pleasures of reading is learning about unfamiliar places, being surprised at how interesting a place is that you hadn't given much thought to. 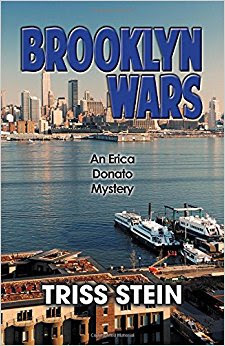 In the Erica Donato series by Triss Stein, I have fallen in love with Brooklyn, New York and its rich, diverse history which comes into play in the present day. The character of Erica Donato was brilliantly created by the author to be a cultural historian working on her PhD in urban history. Through the connection of Erica doing research for her dissertation and her part-time job at the Brooklyn History Museum, there are plenty of opportunities for mysteries from the past and even murder. Many people don't want the past disturbed, and Erica comes to realize that some will even kill to keep it quiet. Her natural inclination to uncover the secrets of the past and relate them to the present often places her right in the path of danger. 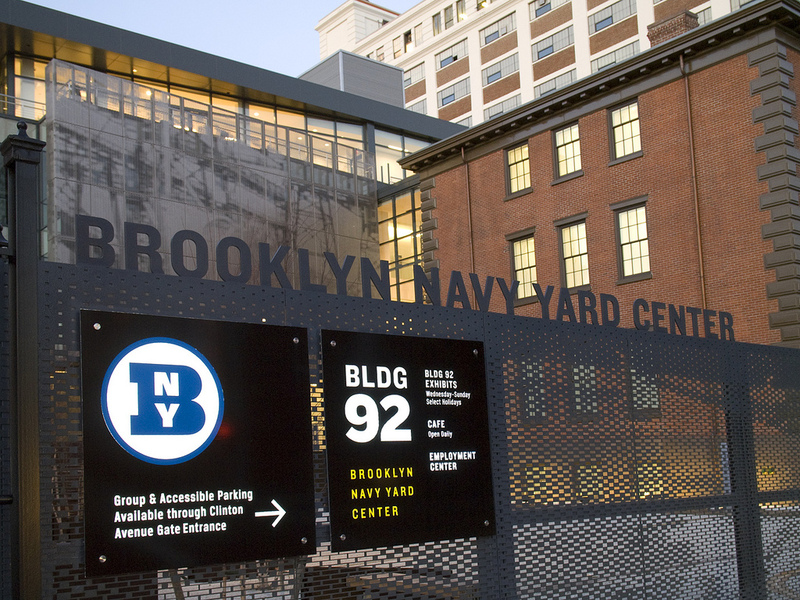 In this, #4 of the series, Erica is investigating the Brooklyn Navy Yard, which was a big part of our country's WWII effort and employed 70,000 plus at its height of operation. She has decided that because of the Yard's important history, even before WWII and after, and because of current plans being made to redevelop the area, she needs to include a chapter about it in her dissertation. Attending a community meeting about redevelopment plans at the Navy Yard's Museum, Erica discovers that there are lots of emotions and opinions concerning the Yard's history and future. Looking around after the meeting in an isolated and condemned area of the Navy Yard known as Admirals' Row, Erica is a witness to murder. Although she doesn't get a look at the shooter, she realizes that the dead man is the speaker at the just finished meeting. Erica learns that the man, Michael Conti, has a long personal history with the Navy Yard as a political and financial opportunist, having betrayed those who looked to him to save the Yard when it closed for his own personal gain. Things, as usual, become complicated when Erica decides she needs to find out all she can about Michael Conti to include in her research and paper, and there is much to find. Erica even gets entangled in the relationships of the women in his life. As fate would have it, or the author's clever maneuverings would, Erica's teenage daughter is doing a history of her father's family as a school project. Since Erica's husband died when her daughter Chris was just three, Erica hasn't had much contact with her mother-in-law, but Chris instigates a trip to see her grandmother in Buffalo to talk about the family history, and Erica has no choice but to go. While looking through old boxes of family documents and pictures and mementos there, Erica is surprised to learn that there is a connection to the Brooklyn Navy Yard through her late husband's family, a "Rosie the Riveter" girl named Philomena. Philomena and some of her brothers worked at the Yard during WWII, and Philomena lost her job to men returning from the war at its end. But, there is more than just a fading memory of a young girl who was part of history and who died young. There is a mystery of her disappearing boyfriend and her family's association with the man Erica saw murdered. It does seem that Brooklyn is like a spider web, with many strings of interlacing points from the past to the present. With this addition to the series, Erica Donato finds herself on the cusp of several life changes. Her time as a student and working on her dissertation is coming to a close, she has some major revelations about her personal relationships, and she faces the transition from student to searching for employment in her field of study. Triss Stein has developed Erica's character and her journey to this point in a plausible and fascinating progression. With each book, the reader has greater insight into Erica, just as Erica has greater insight into herself. The supporting characters are also well-drawn, and their stories are unfolding in a timely manner that keeps pace with Erica's development. As I mentioned at the beginning of this review, Triss Stein is a master at intertwining great storytelling with engaging history in a story-rich setting. Her research is exceptional, rooting out all the behind-the-scenes aspects that make any history intriguing. Her love and respect for Brooklyn is evident. I recommend that in reading this captivating series, you come for the story, but be prepared to leave with that and an appreciation for Brooklyn as a major player in our country's history. Brooklyn Wars is a book you will enjoy on many levels. I received an advanced reader's copy of Brooklyn Wars from the author in exchange for this objective review.